Are your rugs experiencing dirt buildup or fading? Let Great American Chem-Dry restore your area rugs back to their original beauty! Our cleaning products are different because they won’t ever leave sticky dirt-attracting residue, which means your rugs will stay cleaner longer. On top of that, with an application of Chem-Dry Protectant™, your rugs will stand up better against the spills and mishaps of everyday life. Get an area rug cleaning that lasts for years to come! We understand that your oriental and area rugs were big investments that can be quite valuable. That is why you shouldn’t settle for less than Chem-Dry’s special care and professional attention to detail. We clean rugs the natural way – with air and carbonated water. Our process provides a comprehensive yet gentle cleaning for even your dirtiest and most delicate rugs. Our unique drying process prevents wicking and works to preserve the dye within the rug fibers, keeping the rug’s colors looking bright and vibrant! Our San Diego rug experts from Great American Chem-Dry will first evaluate your rug in order to prescribe the right cleaning process. We follow some of the same century-old processes from the Middle East, the masters of some of the world’s finest rugs. In most situations, our cleaning process includes a pre-spray cleaner, a gentle submersion bath, and professional drying and fringe cleaning. If necessary, we will add our special urine removal prior to the rinse bath to get rid of any pet urine or odor. Each home and rug is different, so we strive to provide an individualized process to best clean each rug. Why Do Rugs Get So Dirty? 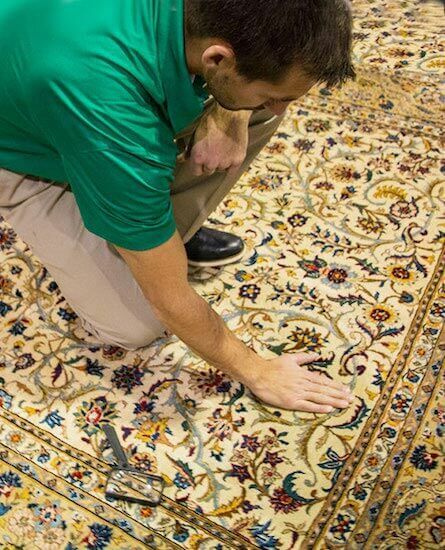 We guarantee that nobody will handle your rug that is not certified and trained in this field of expertise. You can rest assured that only the safest and most effective methods will be used to for your valuable rug. We treat your rugs with the utmost care. Beside the fact that your rugs will probably get the most foot traffic in your home, they also act as air filters! They trap dirt, allergens, and bacteria and prevent them from circulating to other rooms. The one hold up: area rugs can only do this properly if they are maintained and kept clean. Just as an air filter for your home ventilation system needs to be regularly replaced, your carpets, upholstery, and area rugs need to be regularly cleaned. With extreme attention to detail, the professionals at Great American Chem-Dry provide high quality area rug cleanings that transform rugs to their original beauty while removing dirt and allergens. It is our goal to help you have a clean and healthy home that you and your family can enjoy! 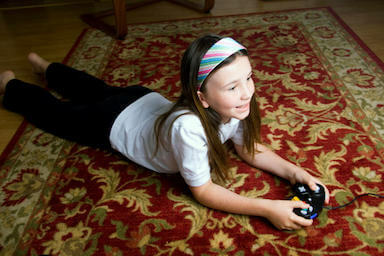 Schedule a Rug Cleaning Appointment with Great American Chem-Dry Today!